Welcome back to the glorious world of the productive work-week, pals! Welcome back to the glorious world of the productive work-week, pals! 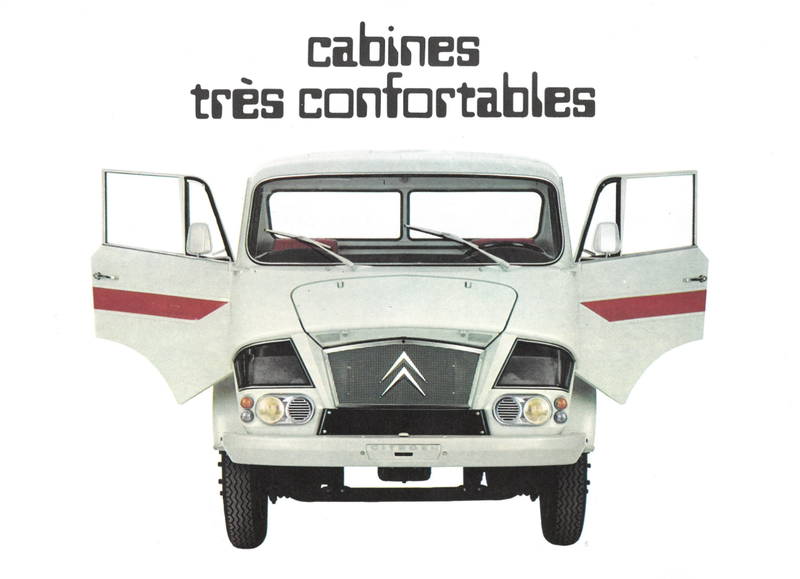 This 1969 ad for Citroën trucks is notable for two things: first, Citroën’s clever use of foot-level windows over the headlights to help truckers from driving over things, and also the odd choice to use that “computer” evoking OCR font for the text. Also, it’s a very cool truck.